In the heart of Waikiki Beach, within walking distance of shops, attractions and nightlife, approx. 30 minutes from Honolulu airport. 793 rooms, each with a Westin Heavenly Bed, air-conditioning, television and mini-fridge. Tower premier ocean rooms have views of the Pacific Ocean, private balcony, sitting area, free internet access and a bath with shower. There’s a private beach area with a freshwater swimming pool and a range of watersports including catamaran sailing, stand-up paddle boarding and surfing that can be arranged on Waikiki Beach. Moana Lanai Spa is Waikiki’s first oceanfront spa and there’s also a fitness centre, kids’ club, beauty salon and daily Hawaiian entertainment. 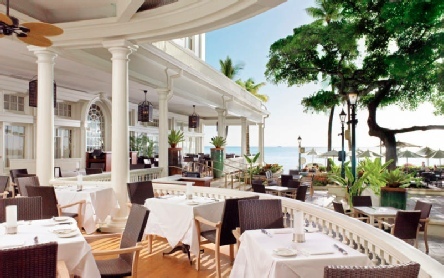 Open since 1901, this nostalgic hotel is a Waikiki landmark right on the oceanfront. Friendly and welcoming, it perfectly blends a sense of history with contemporary facilities. 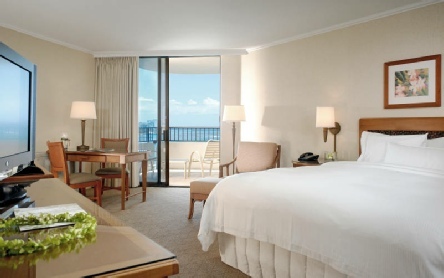 2019 package holidays to the Moana Surfrider a Westin Resort, Hawaii Prices are per person based on two sharing, including flights, transfers and accommodation, and are subject to availability. Flights from Heathrow - other departures also available, call for details.